Today I was posed a question that presented itself as an excellent blog post for this week. I was posed the question “Would you consider ‘Avatar: The Last Airbender’ as an anime”. As I did not have experience with the show, I took a quick look at videos online, and came up with my own opinion to this statement. In this post I will explore this question and also provide my defining criteria to back up my response. Caution – the video below may contain spoilers. At first glance, it appears that Avatar: The Last Airbender harbours the makings of an anime production. First and foremost, my argument is based on the idea of an anime as an art style, and not based on its geographical location, so the basic response of “No, it’s an American cartoon” is not enough. There are a number of small criteria I have observed to help me come to my own conclusion on the matter. The first is by looking at the eyes of the character, and observing the character during emotional stages. Secondly I took a look at the mouths of the character, and whether the mouth was synchronised with the words spoken. Finally, I considered the concept of tabula rasa, and the evolution of character. At a first glance, if you’ve never seen the show, Avatar: The Last Airbender gives the illusion of being an anime production. The art style, based on the image provided, almost appears detailed enough to be considered as anime, but when you watch the cartoon you will quickly realise there is little emphasis on the eyes when showing emotion, and there is no iconography present in the cartoon. The emotion from the characters is shown by use of the mouth and the face as a whole. This indicates that there is a good chance that it is not an anime production. Another noticable difference between cartoons and anime is the mouths themselves. In most cases, anime productions are produced in two or more forms, the Japanese speaking version with English subtitles (sub) and the English speaking version, produced by an American company (dub). The difference between the two versions is that the voice acting is different across the two versions, and the visuals remain the same content. The speech patterns of the anime characters can easily be manipulated as the animation style for mouths in anime is to simply open and close, and not to track speech patterns in the way other forms of cartoons do. This allows for two separate narrations to appear to be the words of the character, and not a badly edited reproduction of the anime. 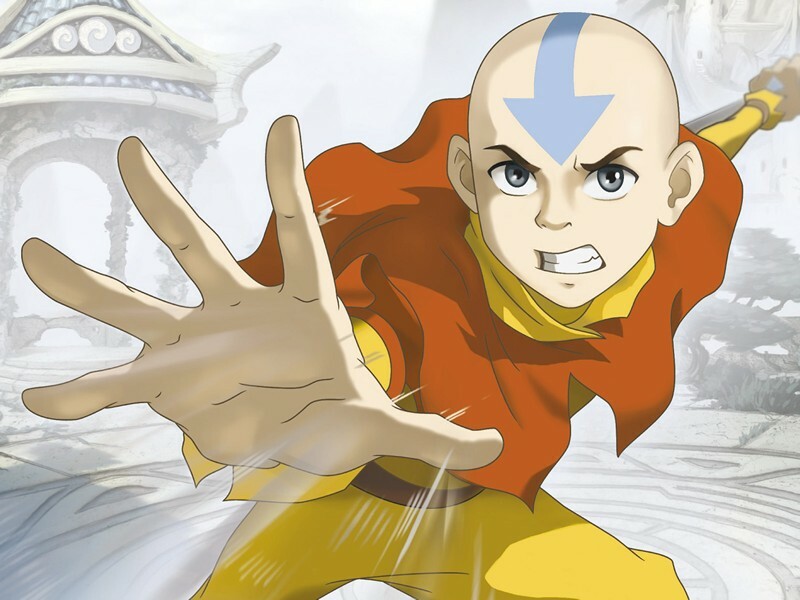 The character’s speech patterns in Avatar: The Last Airbender appear to match the movement of the mouth, and that the cartoon was made with the characters intent to say those exact words. As cartoons are produced for individual languages, it would seem that Avatar follows the cartoon’s format for speech patterns, allowing me to conclude to that point. To it’s credit, Avatar does present some themes that could potentially deem itself as an anime. The concept of Tabula Rasa, or blank slate, is a concept that is evident in most cartoons, and is not seen in anime. Anime productions often involve character evolution and story arcs that span multiple episodes. The concept of Tabula Rasa in cartoons leads to a reset of the experience for the cartoons, and each episode has its own story. Tabula Rasa is evident in cartoons such as The Simpsons and Looney Tunes, where the overall character progression is minimal and each episode is its own separate entity. Avatar is like an anime in the way that it possesses a progressive and linear storyline that heavily features character evolution and experience. It is in this way that Avatar appears to be like an anime. This however is not a defining feature of anime, and based on the evidence previously stated, it is my understanding that Avatar: The Last Airbender, while it exhibits certain features of an anime production, it is by definition a cartoon, and not an anime. I genuinely derived so much from reading this post, learning and reflecting along the way. The fact that you went beyond the ‘Western/Eastern’ stereotype and made an effort to highlight the semiotics and typical genre attributes between the more relevant and defined ‘Cartoon’ and ‘Anime’ genres shows how far that you have come in your autoethnographic process and demonstrates a clear understanding of how to use this process to generate inner reflection. Have you considered looking at the cultures in which each art style began? Considering what might have generated these distinct differences between the art styles of the team that made the series? What their influenced were and how this determined the way in which Avatar was created? This might reveal some very interesting cultures influences on the artistic team behind the show, and allow you to reflect on how this relates to your research. I would have, before reading this, just argued that making something an anime was about the rough art style and not about where it was made. It would have said that Avatar was an anime because of the big eyes, the cultural influences, the large brush strokes if you will. I never considered the minute details to of any significance but I can certainly see what you’re saying. All of those little trademarks that show up in traditional anime are either missing or lacking in some aspect, but I think that it was not only intentional but a good idea. The show wasn’t trying to be an anime, it was just doing it’s own thing and being produced for a western audience who would either not notice the lacking features or not care. That said, I can’t really argue with your point because of how well you defined everything in your earlier posts. Well put together. This discussions comes up so often and people sprout their arguments this way and that for it all based on basic perceptions. I just love how this post just throws it all away and looks at the content properly and after being well researched on the important details to properly judge. There are many similarities here to all the of perceived walls between western and asian media, I definitely found it to be the case for RPGs, and it exists here too for animated television. So instead of trying to comment too heavily on the content I want to congratulate you for being able to draw distinctions so discretely hat you can place features as being of the anime archetype. It’s the kind of examination I’d been hoping to achieve with my time in the subject but you really put many critics to shame with how well you’ve done.